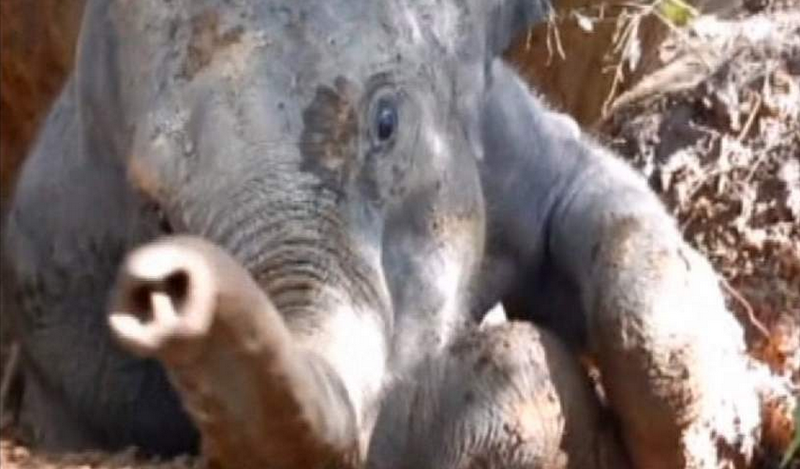 Rescue workers helped free a baby elephant who was trapped in an empty water pit in China and it was all caught on video. Officials believe that the elephant slipped into the pit after heavy rain had caused the surrounding area to become slippery. A police spokesman said: "Looking at the scene the elephant probably fell into the hole yesterday. "Because it rained yesterday, the ground around the pit was slippery." Rescuers worked for about an hour until the baby elephant finally was able to get out of the pit. The elephant then ran off in a nearby forest. Watch the video below and try not to die in your heart for this little baby.